Tired of stuffed jalapenos? 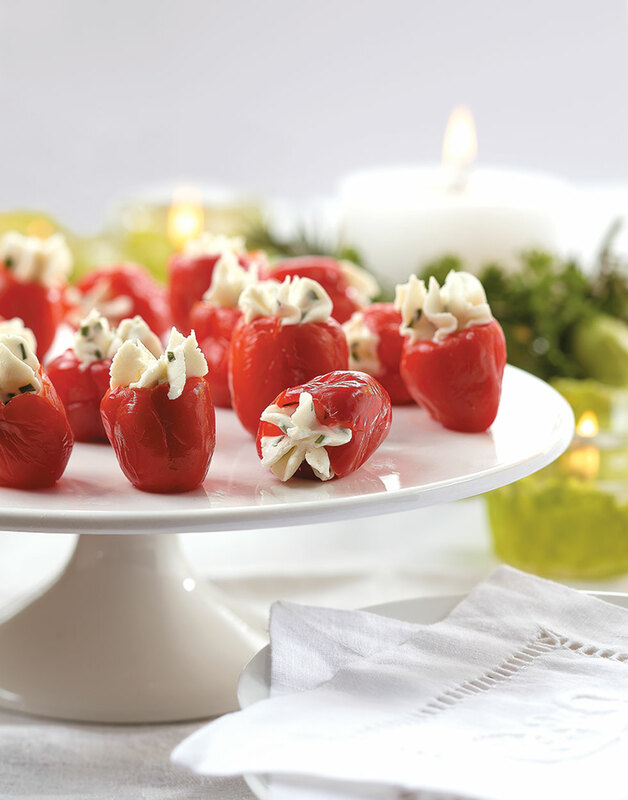 If you’ve never used sweet piquante peppers, you’re in for a treat. Sold under the brand name Peppadew, they look like a cross between a cherry tomato and a bell pepper, and are the perfect size for stuffing. The filling can be made a few days ahead, covered, and refrigerated. You can pipe them a day ahead, but the mixture should be very soft. Combine goat cheese, cream, chives, and zest. Transfer filling to a piping bag fitted with a medium star-shaped tip and pipe into peppers.